Screenplays to some scripts in theatres? Thank you MyPDF Scripts. For the record, I’m kinda glad my wife dragged me to Knight and Day. 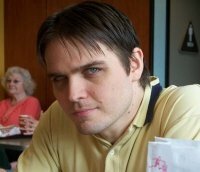 SimplyScripts Radio – The Placeholder Edition: Interview with William (Bill) Kelly. Mike, Pia, Michael and Don talk to William (Bill) Kelly, writer of Blast from the Past and Enchanted on how the film Enchanted came to be, how writers are given credit for work on a script, music in film and Hot Dr Pepper. Over on the Unproduced Scripts page there are over a hundred original scripts for your reading pleasure. I’ve gotten a bit behind hence the huge chunk of scripts going up. Permalink | Comments Off on Original Scripts! 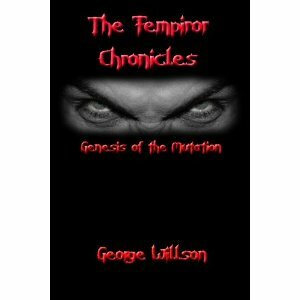 The second installment of The Fempiror Chronicles, Genesis of the Mutation, is now available for purchase at Amazon.com or from CreateSpace*. David Taylor investigates the emergence of a new evolution of Fempiror. Ten years after his transmutation, David Taylor has trained ceaselessly as a Rastem warrior. Having earned the trust of his order, they send him to a distant city after discovering that the Tepish have been actively developing a revision to the Fempiror serum. When he discovers the full truth behind the new serum, he is forced into an unlikely alliance in a vain attempt to end the Mutations before they can spread. Like the first book The Initiation of David, (you can learn more about The Initiation of David and read the first chapter here) there are considerable changes between the novelization and the screenplay which you can read on the discussion board. *At CreateSpace, you can get a 15% discount by using discount code H63WMLZU for either or both books. SimplyScripts Radio – The Profanity Edition: Babz Bitela, Literary Agent with Silver Bitela Agency. Host Mike Shelton, along with panelists Pia, Michael Cornetto, Phil Clarke and Don talk to Literary Agent, Babz Bitela. She has three novels in print, Severe Tire Damage: Story of a Rock Singer, Full Moon Morning: A Shanghai Survivor’s Story, and The Art of Regifting which is touted as the stocking stuffer for ‘gifters’ and ‘regifters’ alike. The pitch: One piece of paper with a logline, genre, page count, have you gotten coverage, beginning, middle and end of the movie. Having Coverage is important. His thriller script Camp Nightmare begins shooting in Poland today under the new title Sparrow. It was discovered by new indie producer Wojciech Stuchlik. Unfortunately, since the script is in filming, it was removed from the site, but many of you may remember the script. You can check out info on the cast at CastingCall Pro. 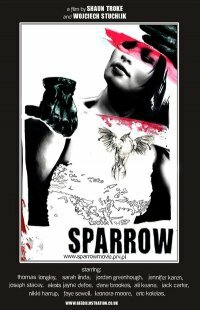 Check out the official Sparrow Movie site. You can also check ’em out on facebook. ScriptCrawler Coverage is an affordable alternative to most coverage services. ScriptCrawler is not run by a large corporate entity: instead, the gap between you and your analyst is narrowed, providing a more personal development process. ScriptCrawler’s readers work for “Big Three” agencies like ICM and CAA, as well as major studios and production companies. They know what it takes to get a script in shape for Hollywood, and are aware of current trends and sales. Best of all, while other services take up to four weeks to return your coverage, ScriptCrawler turns it around in 7 days or less, with the option of a 48-hour Rush turnaround. Agents and executives expect that their coverage be accurate, insightful and delivered on time: why shouldn’t you expect the same? James Redd’s script False Hope has been filmed as Kiss of Death. The film was produced by Bill Peloquin and directed by Anh Phan. As with any work written for the screen, the script, which you can read here, differs from the final filmed version. Comments, shout-outs and stuff can be made on the discussion board. Kiss of Death from William Peloquin on Vimeo.